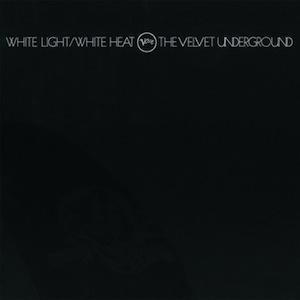 For this week’s Dad-Rock Tuesday, my father picked The Velvet Underground’s 1968 album White Light/White Heat. Well…that was…interesting. I’ll be honest, I didn’t love White Light/White Heat. 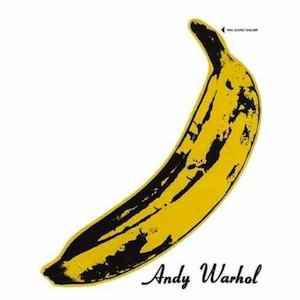 I’ve listened to pieces of The Velvet Underground & Nico (the banana one) before, and I liked what I’ve heard . It’s possibly a bit overrated, as lots of older music is, but it definitely held it’s own in my opinion. Unfortunately, White Light/White Heat didn’t come close. Honestly, there’s something about the entire album that sounds thrown-together. It feels like the band got to the studio, and then decided that it would be a good time to put some music together. The guitars are random, but that’s hidden pretty well by the immense amount of distortion in front of them. I’ll admit, the lyrics can be pretty good at times. A track that sticks out on the album is The Gift, which tells a story of a guy who mailed himself in a box to his long-distance girlfriend. When the package arrived, he ends up getting his head split open with the sheet metal cutter that was being used to open the box. It’s a good story, but its delivery is a little unconventional. John Cale tells the story in a deadpan voice over seemingly unplanned guitar riffs. Then there’s Sister Ray, the 17-minute closer. I thought this song sounded random and thrown together while listening to it, so I decided to check the song’s Wikipedia page. Sure enough, “’Sister Ray’ was recorded in one take. The band agreed to accept whatever faults occurred during recording, resulting in over seventeen minutes of highly improvisational material.” Why is that a good idea? It sounds bad. Don’t even get me started on Lou Reed in this song. Half of the lyrics are about someone “sucking on [his] ding-dong.” C’mon.